Everything is provided for self catering, bijou but fine for two for a night. Aussie influence in decor. We were late, but their English-speaking manager was helpful with arranging everything. The hotel yard is small, but features a small garden and terrace. Apartment was ok, a kind of cosy, family style, and featured all basic amenities. Parking available nearby. Staff went out of their way to ensure our stay was comfortable. Charming area and accommodation. Location was good for our trip as we were there for the Ryder Cup. The owner provided a reasonably priced and much appreciated taxi service to and from the golf course. Great place to stay and really nice accomodation. Nice and helpfull owners which makes the whole experience truly great. We have enjoyed our stay and it was a good location to visit nearby sites like the Chateaux Versailles. We got some good advice for dining locations nearby with great food and a true French experience. 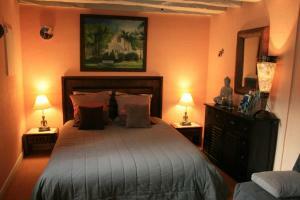 Nice apartment, very comfortable and very well equipped. We can surely recommend. Ładne mieszkanie, wygodne i dobrze wyposażone. Polecam. Parfait pour un sejour 4 personnes. Notre logement situé à l étage à été complètement rénové avec goût et très pratique. Bien situé non loin des châteaux et du village de chevreuse. Personnel super aimable et prof. Le gîte est très bien situé pour profiter de la nature. Départs de randonnée à proximité (départ possible depuis le gîte). Nous avons apprécié le calme et l'accueil. Un accueil très chaleureux et attentionné. 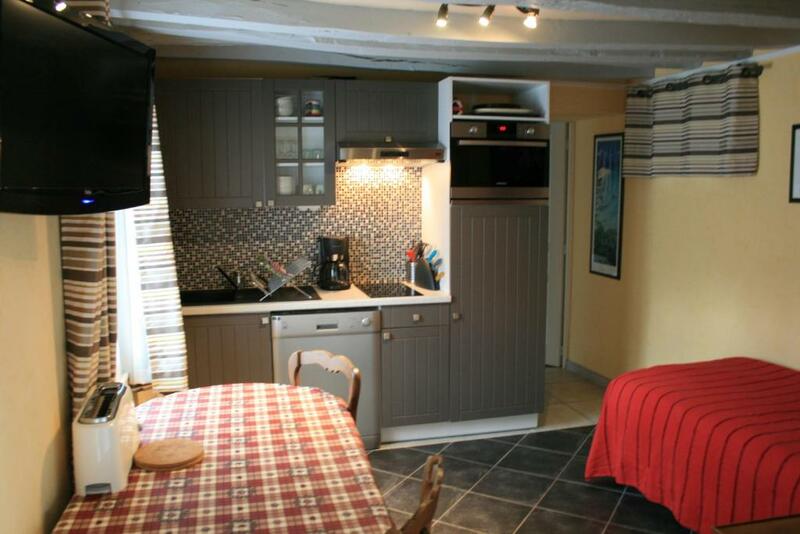 Petit gîte du rez-de-chaussée très propre, pratique, et avec sa terrasse privée. véhicule garé dans la cour. Le château de Versailles est à 20 min, l’espace Rambouillet à 30 min. Idéal pour notre petit séjour. Je recommande. Lock in a great price for Gîtes Le Petit Nailly – rated 8.8 by recent guests! 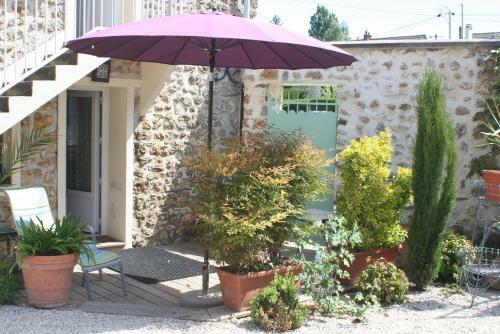 Set in the Vallée de Chevreuse Regional Nature Park, Gîtes Le Petit Nailly offers self-catering accommodations, breakfast at a supplement and free Wi-Fi in the apartments. The apartments feature a living room with a flat-screen TV and a DVD player, and a terrace. The private bathroom includes shower and there is a separate toilet. The fully-equipped kitchen has a dining area, oven, stove, refrigerator and microwave. An electric kettle is also provided, and BBQ facilities are available upon request. Bikes, table tennis, darts, garden furniture and board games are at guests’ disposal, and meals can be taken in the living room or delivered to the apartments upon request. Saint-Rémy-les-Chevreuses Train and RER Station is 3.1 mi away. 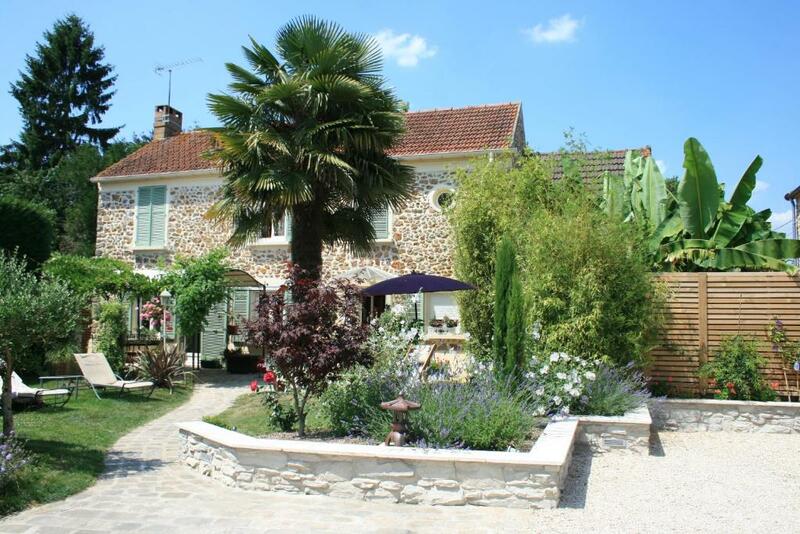 This property also has one of the top-rated locations in Magny-les-Hameaux! Guests are happier about it compared to other properties in the area. 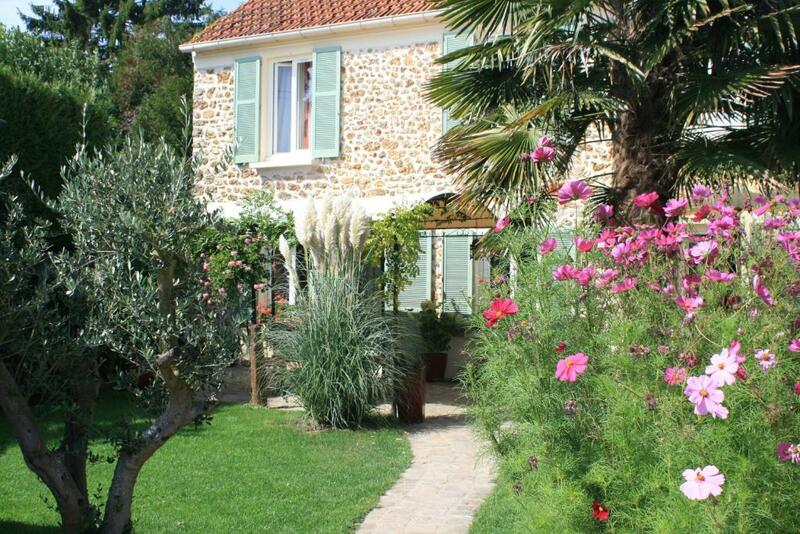 This property is also rated for the best value in Magny-les-Hameaux! Guests are getting more for their money when compared to other properties in this city. When would you like to stay at Gîtes Le Petit Nailly? 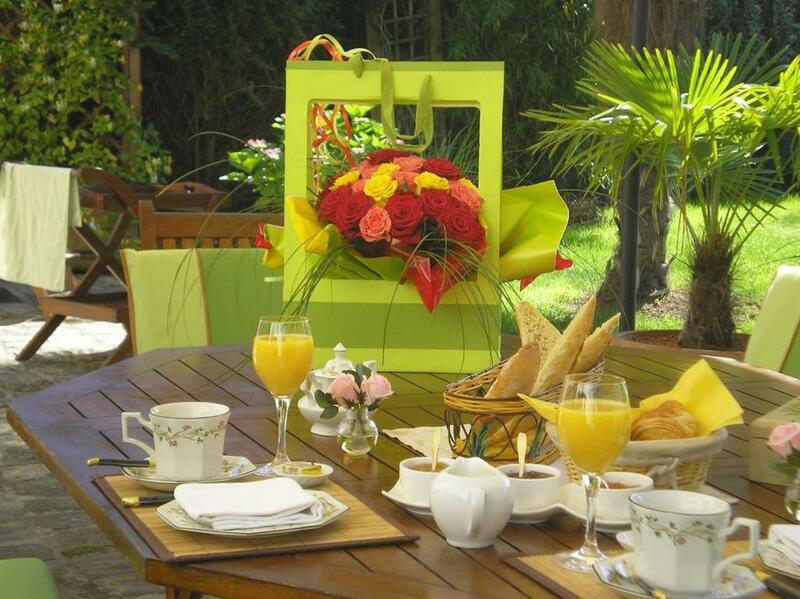 The apartment features a living room with a flat-screen TV and a DVD player, a terrace, and a fully-equipped kitchen. The private bathroom includes shower and toilet. 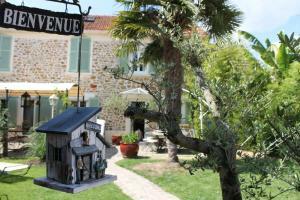 House Rules Gîtes Le Petit Nailly takes special requests – add in the next step! Gîtes Le Petit Nailly accepts these cards and reserves the right to temporarily hold an amount prior to arrival. Towels were a kind of wet(?) and a bit not fresh, like they had been stored in basement for a long time. In the living room, you sleep just next to a fridge. I would suggest to either switch it out, or take ear plugs to avoid your sleep being interrupted. Probably, it was due to the late booking and busy weekend, but we felt that it was overpriced. Especially, in comparison with other places we visited afterwards. Pillows, or are they cushions(?) a bit uncomfortable. On arrival we were told the restaurant, La Place, was good and closeby. Sat Nav found an identical street in wrong town 4miles away(!) re-routed but when we arrived at 8pm it was evident it never opened and nothing else was open in any town we found for miles. Take-away wasn't much fun! Continental Breakfast was an extra 8eu each, very basic and we judge very poor value when compared to the rest of our trip when each owner would serve with great French pride and taste all included in the price and much cheaper - Don't bother, go to a bar. Stayed here for access to Versailles - it's too far out really but the forests look good. Kitchen is tiny, but reasonably functional. We had not planned any major cooking, so it didn't matter. Could do with more basic kitchen utensils. Poor breakfast with old bread.